If there’s one thing everyone wants to talk about in the world of technology, it’s additive manufacturing – or 3D printing. The concept of 3D printing is intriguing to everyone. Whether for business or personal use, the possibilities are incredible. Let’s take a look at some fun facts regarding this evolving technology. 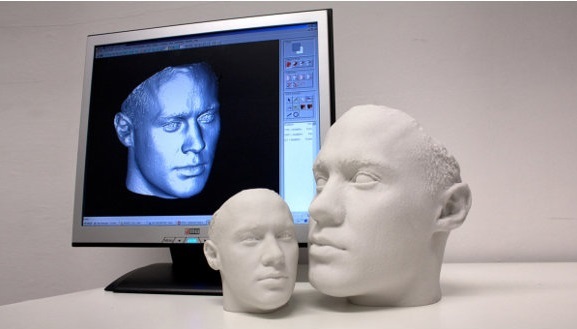 Did you know that the origins of 3D printing are actually rooted in the 1980s? Contrary to popular belief, it isn’t a new technology. It’s simply being refined and improved for the first time on a large scale. In 1984, Chuck Hull developed a process known as “stereolithography.” It used UV lasers to solidify photopolymer and created 3D parts layer by layer. Just a few years later, the first 3D printing businesses were founded. While 3D printing is obviously a fast-growing industry, are you aware that it’s expected to reach $3.1 billion worldwide by the end of 2016 – and $5.2 billion by 2020? These are the numbers that experts are projecting, and it doesn’t look like we’re too far off the mark at this point. Much of this growth will be fueled by mass adoption in manufacturing industries. Widespread growth in the private marketplace will follow. When most people think of 3D printed objects, they think about plastic. And while plastic is certainly one of the most commonly used materials, there are a variety of other possibilities. Over the last few years, some of the materials used include wood, glass, titanium, gold, silver, and more. As the flexibility of printing materials improves, we’ll begin to experience even more potential for growth. While there are plenty of normal uses for 3D printing, things can get weird in a hurry. Some of the strangest things people have made with 3D printing technology include human body parts, edible food snacks, human masks, guns, and models of unborn fetuses. Over time, look for the inventions and possibilities to get even stranger. One of the neatest developments in the 3D printing industry is quite literally out of this world. Researchers at Washington State have teamed up with NASA to develop technology that allows 3D printers to use moon dust as a viable printing material. The goal is to allow for on-site fabrication of products and supplies on the moon using only local materials. This just goes to show how many different materials can be used. It’s also proof of the sustainability of 3D printing and how it will positively impact conservation efforts in the future – on the earth and beyond. While the average moviegoer may never realize it, many of the Hollywood scenes that appear on the big screen are made with the assistance of 3D printing. In particular, many of the faces you see on your favorite actors are actually masks made with 3D printing. Some recent movies to feature 3D printing include Jurassic Park, Iron Man, The Hobbit, Terminator Salvation, The Avengers, ParaNorman, Real Steel, The Muppets, and Avatar. While many industries will be impacted by the growth of 3D printing, no industry will experience more positive effects than the medical industry. Technologies are currently being developed that would make it possible to print prosthetics, organs, and cost-effective medical devices. We’re at a very exciting point in history. Additive manufacturing, or 3D printing, has the potential to be the most significant technological development since the advent of the internet. Moving forward, it will be interesting to see how quickly and efficiently growth happens in this industry. Stay tuned!